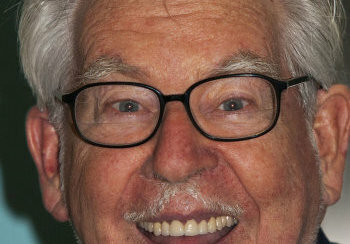 Rolf Harris, entertainer for millions from the 1960s onwards in Australia and Britain, will today be sentenced for the horrific crimes he has now been charged with. Harris, with a beautifully kempt mostly-white beard, and genuinely pleasant smile, has been charged with abusing multiple girls and women over a multi-decade period. Harris, 84, is the epitome of the 'unsuspected villain' - skilfull, articulate, and respected by peers (including the Queen, or at least her advisors), who allegedly took advantage of his position of power to abuse his victims in secret, and without suspicion. And so - the world rejoices that one more 'memory from their youth' is presumably going to jail, hopefully for a long time, and possibly until he dies. If anything, the only question now is what satire and parody writers can actually say about this, if anything at all. The answer, if we're being honest, is that we either leap to creating crude and inappropriate jokes, or that we somehow avoid the issue altogether and pretend like it didn't happen. Both of these options are unpleasant - by avoiding the subject we're saying that he's beyond satire, which is untrue and unhelpful. Satire is a useful tool for analysis and metaphor. But if instead we choose to become overly obnoxious with our 'jokes' we're potentially damning his victims at the same time as damning him. There has to be a middle ground; something that will fairly lampoon a public figure who deserves our collective vitriol, while at the same time avoiding harmful stabs at his victims. What is an appropriate satire for Harris' situation? To mockingly refer to his being raped in prison? Maybe. It would certainly be 'lex talionis' (a latin phrase I just discovered, which basically means an eye-for-an-eye) but I don't condone that. But at least it's specific to him. How about shaving his almost trademark beard? That would reduce his dignity and, possibly, puncture his sense of self. Yeah, that could work. I don't want to run away from the subject - but I do want to publish a story about it. Sorry that it's boring, and probably naive. now listen here you little fuckers... come on, this is shite. don't fall for it; stop feeding the troll. Sweet write up, but marred by superficial errors that make the majority of it barely readable. I don't think this is an appropriate subject for mocking. bollcks. this makes me want to catheterise myself with a diseased tusk. i'm surprised more hasn't been made of how god-awful this is. what a waste of everyone's time, effort and energy.